Intended as a place of healing, San Rafael has its origins as a mission for the native people who resided in villages nearby. A version of the original mission building was reconstructed in 1949: Mission San Rafael Arcángel. 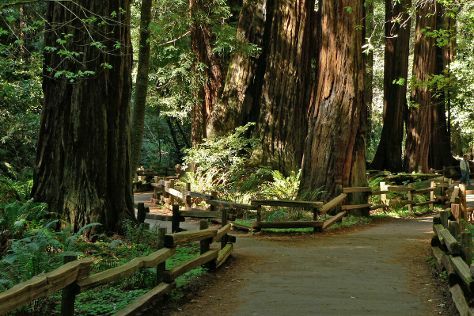 The Mediterranean climate and access to the isolated beauty of Muir Woods attract big name stars to the area. Star Wars creator George Lucas owns property nearby, and portions of the motion picture "American Graffiti" were filmed downtown. Lucas' presence in the city encouraged the development of a high-tech entertainment industry--today hundreds of facilities for designing special effects operate from downtown. San Rafael is in Marin County. To arrange what you want to do in San Rafael, use our United States trip planner . Near the center of the city, you'll find independently owned hotels offering rooms with local character. There are also hotel chains with comfortable rooms, and extended-stay lodgings with furnished apartments. Consider the latter if you're traveling with a family or group, to save on accommodation costs.